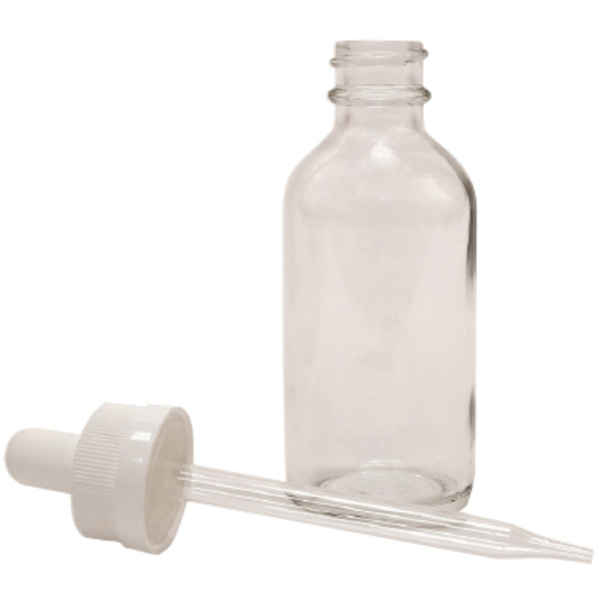 Clear Glass Dropper Bottle / 2 oz. 2 oz. clear bottle with dropper cap. 4-3/4"H x 1-1/2" Diameter.